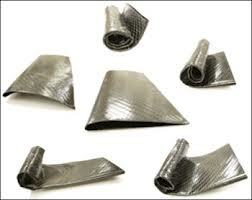 Stanford Advanced Materials (SAM) is a leading supplier of Shape Memory Alloy. 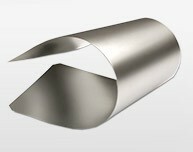 We provide not only Ti-Ni memory alloy, but also TiNiCu and TiNiNb shape memory alloys. A shape-memory alloy (also know as SMA, smart metal, memory metal, memory alloy, muscle wire, smart alloy) are considered one of the most promising smart materials on the market today. They can provide novel solution in several ﬁelds, for various applications (e.g. actuator, biomedical application, clamping systems, etc.). Among the commercially available Shape Memory Alloys, nickel–titanium (Ni–Ti and Ni–Ti based) ones are outstanding due to their excellent performance, reliability, and strain recovery properties. Ni–Ti is attractive for medical applications due to its biocompatibility, corrosion resistance and fatigue behavior. Shape-memory alloys are applied in medicine, for example, as fixation devices for osteotomies in orthopaedic surgery, in dental braces to exert constant tooth-moving forces on the teeth. - Nitinol is being used in robotics actuators and micromanipulators to simulate human muscle motion. The main advantage of Nitinol is the smooth, controlled force it exerts upon activation. - Other miscellaneous applications of shape memory alloys include use in household appliances, in clothing, and in structures. Our Ti-Ni-Cu & Ti-Ni-Nb Shape Memory Alloys are clearly tagged and labeled externally to ensure efficient identification and quality control. Great care is taken to avoid any damage which might be caused during storage or transportation.